Before you can actually work efficiently, you have to make sure you’re set up for it. 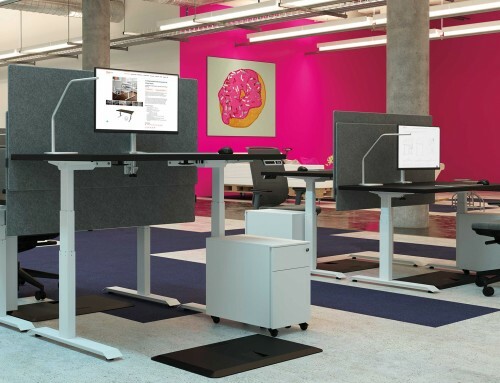 The right ergonomic sit stand desk is the foundation of a productive workday. Add an adjustable monitor arm to keep your neck neutral and desktop task lights that put the right light where you need it, reducing eye strain and energy costs. Arrange your desk so the things you use regularly are within reach, without having to bend or reach, like your office phone and notepad, and use a document holder to prop up printed documents. Move your keyboard and mouse so that you can work with your elbows at a 90 degree angle and wrists level. Add a comfy wrist rest or upgrade to an ergonomic keyboard or mouse for added support. Clear off extraneous items from your desk and store them in a mobile pedestal to cut out distractions and clutter. Utilizing productivity tools to get more done in less time is a smart way to boost efficiency. Online project management tools allow you to track your to-do’s, collaborate with your team, and track your progress. The administrative aspect of setting up these systems may seem like wasted time, but they will end up saving you more time than you put in initially. Never miss a deadline, keep track of everything in one place, and create a seamless flow for your most complicated projects. Project management tools that include time tracking and activity monitoring can also give you some insight into where efficiency is lacking and help you balance your priorities. Across all projects, leverage automation where you can to cut out tedious or repetitive tasks. Don’t spend all day toiling away at something that you’re not sure how to do. Reach out to the vast knowledge of the web (or your team members) to build your skills, thus being able to complete that task faster. Taking time to learn new skills will allow you to work more efficiently once you’ve mastered them, saving you time in the future. Online courses, tutorials, and forums are great do-it-yourself resources for building upon your skills. Whether it’s soft skills, like communication, or technical skills, like coding, continued learning keeps you engaged and makes you a more valuable employee. When a project has multiple stakeholders and includes individuals across different teams, the process to get something completed starts to get complicated. Determine and minimize process bottlenecks and clearly outline actionable tasks for each team member to keep things running smoothly. Leverage digital collaboration tools like cloud-based documents and chat platforms to eliminate document version issues and reduce lengthy meetings. Explore different online platforms to help you streamline your processes even more. Nothing kills productivity like breakdowns in communication. The first thing to do when buttoning up your internal communication strategy is to commit to a single communication channel. 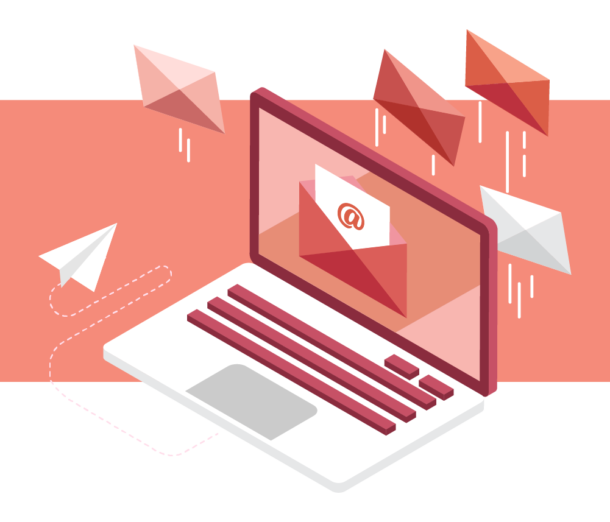 Whether it’s email, chat, or in-person, bringing (almost) everything into one system and making communication expectations clear will drastically speed things along. Set realistic expectations about availability, responsibilities, and benchmarks. Be sure to ask questions to fully understand what’s expected of you if you’re ever unclear. As always, open lines of communication using effective channels creates fluid information flow and boosts efficiency. Working efficiently isn’t all about working. Taking care of yourself (body, mind, spirit) will give you space and energy to come to work present and engaged. When management encourages self-care behaviors, they can reduce sick days, stress, and burnout. 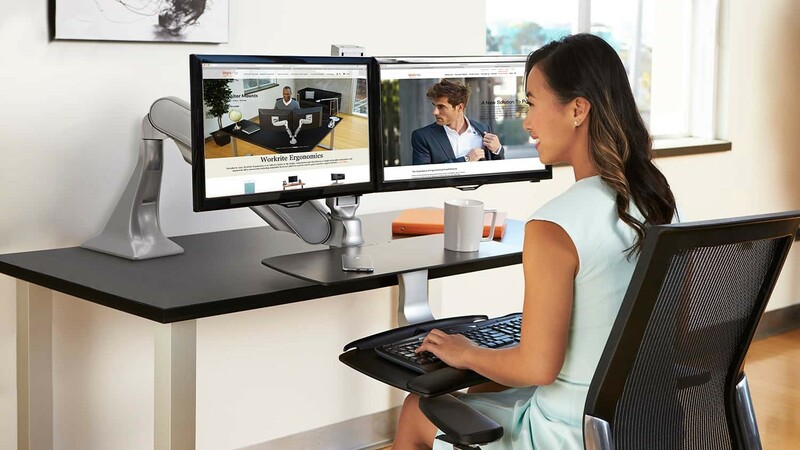 Create an ergonomic workstation with the right equipment, like a sit stand desk, adjustable monitor arm, and supportive accessories, and always practice good posture. 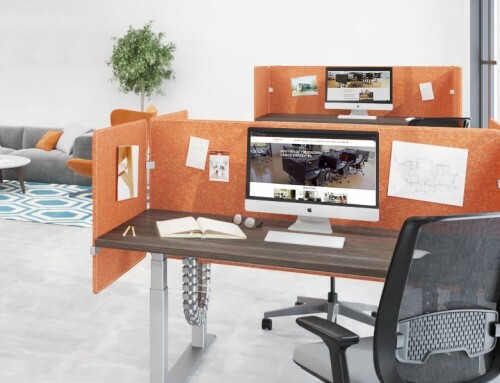 This will ensure you’re physically comfortable while you work and reduce chronic injuries, pain, and discomfort. Take breaks throughout the day and take time off when you need a reset. If you have the freedom to determine your own schedule, establish clear boundaries around your workday, like when you start and end your day, and whether or not you are accessible outside of those hours. Try these other tips to Work Happy everyday. Gain insight into how your efficiency changes over time as you implement new techniques to boost productivity. Knowledge work can be extremely difficult to measure, but start by assigning value to the quality of work completed in addition to quantitative outcomes. Track all projects, including timelines, tasks, and expected results. The more data and information you gather, the better you’ll be able to assess and ultimately improve your own productivity or how you and your team work together. Over time, adjust your productivity approach or workflow to boost efficiency.